The Nebraska Center for the Book will present the 2016 Jane Geske Award to City Impact (Lincoln), Literacy Center for the Midlands (Omaha), and Platte Valley Literacy Association (Columbus) at the October 29 Celebration of Nebraska Books in downtown Lincoln. These organizations exemplify effectiveness and dedication to the cause of literacy in Nebraska. These three organizations are empowering Nebraskans through education, mentorship, and increased access to books and reading. The Nebraska Center for the Book annually presents the Jane Geske Award to organizations, businesses, libraries, schools, associations, or other groups that have made an exceptional contribution to literacy, books, reading, bookselling, libraries, or Nebraska literature. The Jane Geske Award commemorates Geske’s passion for books, and was established in recognition of her contributions to the well-being of the libraries of Nebraska. Jane Geske was the director of the Nebraska Library Commission, a founding member of the Nebraska Center for the Book, a Lincoln bookseller, and a long-time leader in Nebraska library and literary activities. The award is supported by the Center for the Book in the Library of Congress. The Nebraska Center for the Book will also present the 2016 Mildred Bennett Award to Nebraska poets Twyla Hansen and Marjorie Saiser at the Celebration. Hansen and Saiser will be honored for their contributions to Nebraska writing and for their service in support of Nebraska’s writers and readers. The Mildred Bennett Award recognizes individuals who have made a significant contribution to fostering the literary tradition in Nebraska, reminding us of the literary and intellectual heritage that enriches our lives and molds our world. The award recognized inspired leadership and service on behalf of Nebraska literature, highlighting how the recipients follow the example of Mildred Bennett, the charismatic founder and long-time President of the Willa Cather Pioneer Memorial and Educational Foundation. The award seeks to heighten awareness and interest in Nebraska’s literary heritage and to enrich the lives of Nebraskans and readers everywhere. The October 29 Celebration, free and open to the public, will also feature presentation of the 2016 Nebraska Book Awards, and some of the winning authors will read from their work. A list of winners is posted at http://centerforthebook.nebraska.gov/awards.html. The Celebration will open with a program by Karen Gettert Shoemaker, author of The Meaning of Names, the 2016 One Book One Nebraska book selection, and the 2017 One Book One Nebraska selection will be announced. The Celebration of Nebraska Books is scheduled for 2:30 – 6:30 p.m. at the Nebraska History Museum, 131 Centennial Mall North, Lincoln NE, with the Nebraska Center for the Book Annual Meeting to be held prior to the Celebration at 1:30 p.m. The 2016 Celebration of Nebraska Books is sponsored by the Nebraska Center for the Book, Nebraska Library Commission, and the Nebraska State Historical Society Nebraska History Museum—with support from University of Nebraska Press and Humanities Nebraska. For more information see http://centerforthebook.nebraska.gov/programs/celebration.html and www.facebook.com/NebraskaCenterfortheBook. The Nebraska Center for the Book is housed at the Nebraska Library Commission and brings together the state’s readers, writers, booksellers, librarians, publishers, printers, educators, and scholars to build the community of the book, supporting programs to celebrate and stimulate public interest in books, reading, and the written word. The Nebraska Center for the Book is supported by the Nebraska Library Commission. As the state library agency, the Nebraska Library Commission is an advocate for the library and information needs of all Nebraskans. The mission of the Library Commission is statewide promotion, development, and coordination of library and information services, bringing together people and information. Poetry: Breezes on Their Way to Being Winds by Charles Peek. Publisher: Finishing Line Press. The celebration, free and open to the public, will also honor winners of the 2016 Jane Geske and Mildred Bennett awards. The Mildred Bennett Award recognizes individuals who have made a significant contribution to fostering the literary tradition in Nebraska, reminding us of the literary and intellectual heritage that enriches our lives and molds our world. The Jane Geske Award is presented to Nebraska organizations for exceptional contribution to literacy, books, reading, libraries, or literature in Nebraska. It commemorates Geske’s passion for books, and was established in recognition of her contributions to the well-being of the libraries of Nebraska. The 2016 One Book One Nebraska selection, The Meaning of Names (Red Hen Press) by Karen Gettert Shoemaker, will be featured in a presentation by Shoemaker about this Nebraska-set novel with a World War I backdrop, keynoting the Celebration at 2:45 p.m. The Nebraska Center for the Book Annual Meeting will be held at 1:30 p.m.—just prior to the 2:30-6:30 p.m. Celebration. An awards reception honoring the winning authors, book signings, and the announcement of the 2017 One Book One Nebraska book choice will conclude the festivities. The Celebration of Nebraska Books is sponsored by Nebraska Center for the Book and Nebraska Library Commission, with support from the Friends of the University of Nebraska Press and Nebraska State Historical Society’s Nebraska History Museum. Humanities Nebraska provides support for One Book One Nebraska. 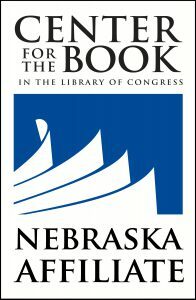 The Nebraska Center for the Book is housed at the Nebraska Library Commission and brings together the state’s readers, writers, booksellers, librarians, publishers, printers, educators, and scholars to build the community of the book, supporting programs to celebrate and stimulate public interest in books, reading, and the written word. 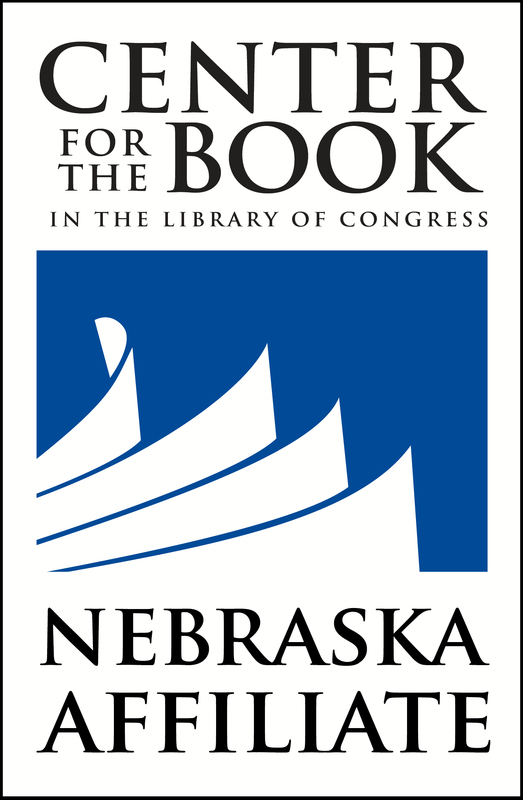 The Nebraska Center for the Book is supported by the national Center for the Book in the Library of Congress and the Nebraska Library Commission. Young readers in grades 4-12 are invited to write a personal letter to an author for the Letters about Literature (LAL) contest, a national reading and writing promotion program. The letter can be to any author (living or dead) from any genre—fiction or nonfiction, contemporary or classic—explaining how that author’s work changed the student’s view of the world. The 24th annual writing contest for young readers is made possible by a generous grant from the Dollar General Literacy Foundation, with additional support from gifts to the Center for the Book in the Library of Congress, which promotes the contest through its affiliate Centers for the Book, state libraries and other organizations. This reading and writing promotion is sponsored in Nebraska by the Nebraska Center for the Book and Nebraska Library Commission, and supported by Houchen Bindery Ltd. and Chapters Books in Seward. Prizes will be awarded on both the state and national levels. The Nebraska Center for the Book’s panel of judges will select the top letter writers in the state, to be honored in a proclamation-signing ceremony at the state capitol during National Library Week in April 2017. Their winning letters will be placed in the Jane Pope Geske Heritage Room of Nebraska Authors at Bennett Martin Public Library in Lincoln. Nebraska winners will receive state prizes, and then advance to the national judging. A panel of national judges for the Center for the Book in the Library of Congress will select one National Winner per competition level (Level I for grades 4-6, Level II for grades 7-8, and Level III for grades 9-12) to receive a $1,000 cash award, to be announced in May 2017. The judges will also select one National Honor winner on each competition level to receive a $200 cash award. Teachers, librarians, and parents can download free teaching materials on reader response and reflective writing, along with contest details and entry forms, at www.read.gov/letters. Nebraska-specific information (including lists of Nebraska winners of past competitions) is available at http://centerforthebook.nebraska.gov/programs/LAL.html. Get inspired by listening to Nebraska winners, Ashley Xiques and Sydney Kohl, read and talk about and their winning letters to authors that meant something to them in their own lives, see NET Radio’s All About Books (http://netnebraska.org/basic-page/radio/all-about-books). Submissions from Grades 9-12 must be postmarked by December 2, 2016. Submissions from Grades 4-8 must be postmarked by January 9, 2017. For more information contact Mary Jo Ryan, MaryJo.Ryan@nebraska.com, 402-471-3434 or 800-307-2665.